NIMD first opened its country office in Mozambique at the turn of this century. We initiated the Mozambique programme in an effort to reduce tensions between two parties previously at war with each other and to create a safe space for dialogue and collaboration. Now, over 15 years later, we are delighted to announce that our office has become an independent organization. 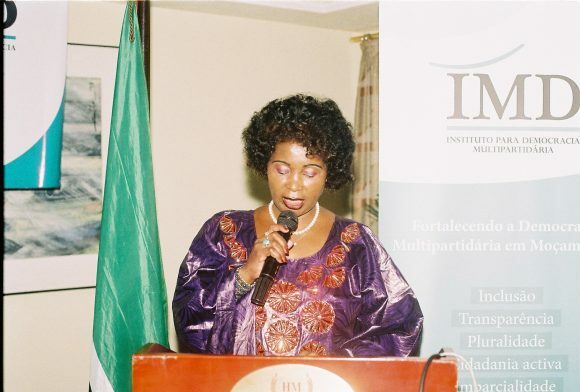 The Institute for Multiparty Democracy Mozambique (IMD Mozambique) is a strong local organization that can now use its experience to further build its relationship with political actors and other relevant stakeholders in Mozambique to promote a more inclusive and transparent democracy in the country. Hermenegildo Mulhovo, Executive Director of the newly established IMD Mozambique and former Executive Director of NIMD Country Office in Mozambique, played an important role in the transition process. cooperation at the Dutch Ministry of Foreign Affairs. This led to reflections on the sustainability of the office. At the same time, Hermenegildo also saw a lot of opportunities surrounding the creation of a new organization. These included opportunities for fundraising. As a Dutch organization, the country office did not qualify for many locally contracted funds from international organizations, like the European Union. Accessing these funding opportunities was essential to achieving the potential of the NIMD Mozambique programme and to supporting the Mozambique office’s sustainability and even helping it grow. So the chance to increase impact by working with several reputed international organizations and the practical opportunity to diversify the office’s funding made Hermenegildo reflect on creating a local Mozambican organization. This idea was compounded by calls for long-term support from Mozambique’s political parties. The trust and relationships that the country office had been building were paying off. These reflections led Hermenegildo to initiate the transition process. As a representative of both organizations during this process, Hermenegildo was in a unique position to make sure that the new institutional set up would serve the interests of both NIMD and the future IMD. Predictably, this role came with its own set of challenges. “Initially it was not easy to get a buy-in from all the people concerned,” he explains. The process of becoming independent was supported by NIMD. One of the outputs of NIMD’s programmes is to strengthen the local organizations that we work with. So there was already a results framework in place that provided the opportunity to support this process. 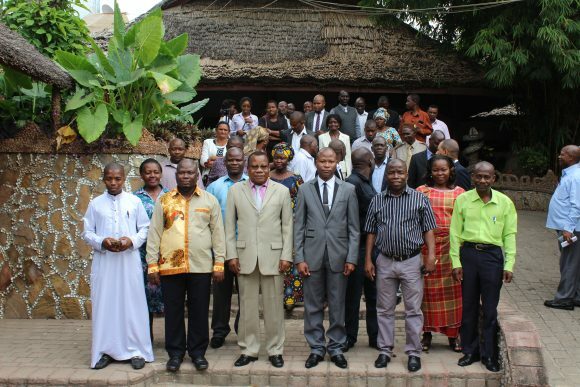 Both NIMD and IMD clearly wanted the same thing: for the Mozambique programme to reach its full potential. This greatly helped the discussions. Once IMD Mozambique was created, many previously unexplored avenues opened up for the organization. 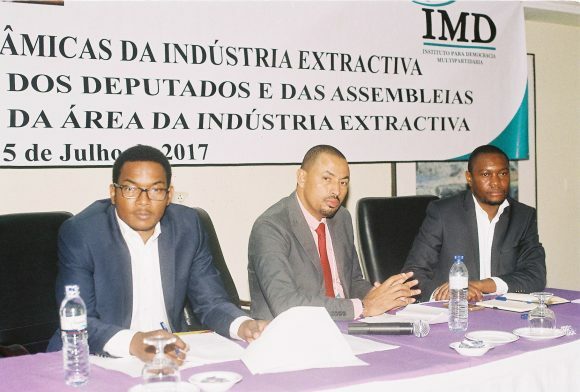 “The commercial name, IMD Mozambique, demonstrates NIMD’s legacy and the historical connection. It is this legacy that makes international organizations, like the EU, keen to partner with us. At the same time, we are now viewed as a completely local organization, which means that political parties in Mozambique are more open to us. Our partners have the best of both worlds” explains Hermenegildo. “We know that most of this trust our partners have in us is because NIMD has paved the way for us” he says. “Since the office was established in 2000, NIMD has initiated a reform in the country’s democratic institutions, particularly in reforming electoral laws. And during the elections of 2014, NIMD was very keen on facilitating dialogue and consensus-building between the three political parties in parliament. There were many contentious issues at the time. But NIMD created a non-partisan space and encouraged a solution-oriented discussion. There is no other organization that has gained the trust of political parties for their solution-oriented approach like NIMD has in Mozambique”. The first thing IMD Mozambique is looking forward to doing as an independent organization is creating and consolidating knowledge and expertise. “We want to invest more in knowledge production, like developing policy briefs” says Hermenegildo. Although the process was hard at times, it has been a learning experience for Hermenegildo, who was the Executive Director of the NIMD country office for many years. “I am proud that IMD Mozambique is a product of NIMD” he concludes. And we, at NIMD, are proud to be able to continue working with Hermenegildo and IMD Mozambique. 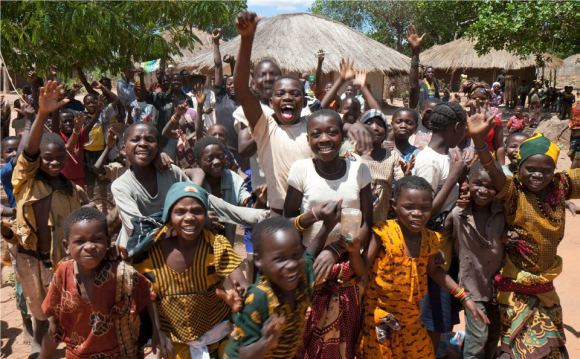 For us, the establishment of new organization is a major achievement, not just because it opens new doors for our work in Mozambique, but also because it underlines our efforts to build strong local institutions that have ownership over political development efforts in their country. We are very much looking forward to our future with IMD Mozambique as partners as we grow stronger together.